We tried to overcome the limitation of plane paintings by using QR code. Before, visual arts pleased spectators only fragmentarily. However, now we enhance enjoyment of appreciating art by using digital device called QR code to give fresh enjoyments to spectators. Up to now visual arts have restrictions with time and places inevitably. We struggled to surmount these restrictions about exhibition places. Finally, QR code enables a number of art works to show spectators no matter how small exhibition place is. Also, combining QR code with graffiti, it is possible to appreciate art works for audience in streets. Cho Junghyun, the artist, wants communications between art works and audiences, artists and audiences. It is the way he wants in communicating with audiences to shoot QR code and interact with artists beyond the place where they are. As well, performance arts are under constraints with time and places more than visual arts are. It is impossible to audience understand art works without process and explanations. The artist, Sung Baek make it possible to appreciate not only art works but the process of art works for audience by using QR code. The works of Cho Junghyun and Sung Baek suggest new system solving the problem called communication gap that modern art has experienced. This exhibition would promote the collaboration of art and 3D(Design, DNA, Digital),emerging technology in the 21st century, to result in various reinterpretations with the field of art. 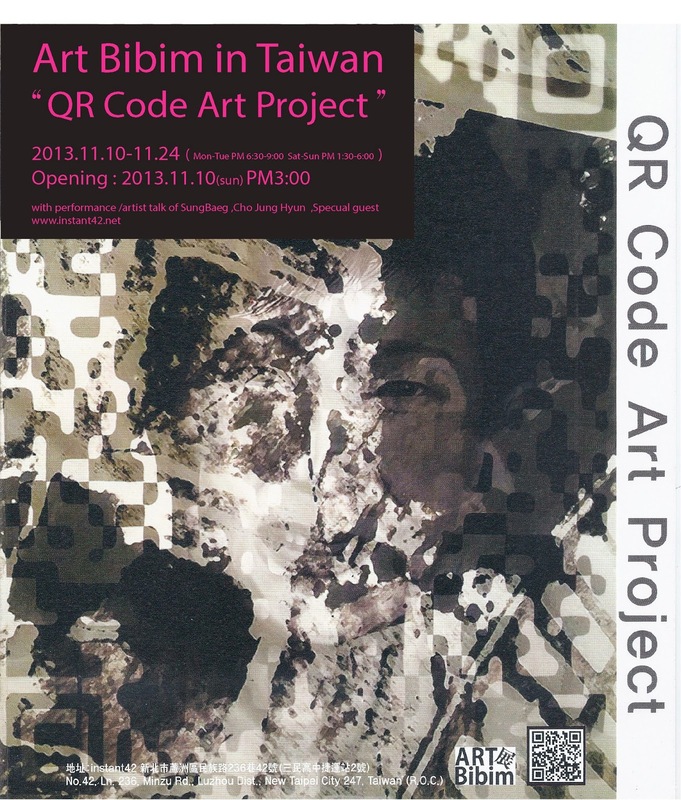 The 'QR CODE ART PROJECT in Taiwan' is the first project trying to overcome the limitation of art and communicate with audience, encouraging various attempts in art industry.